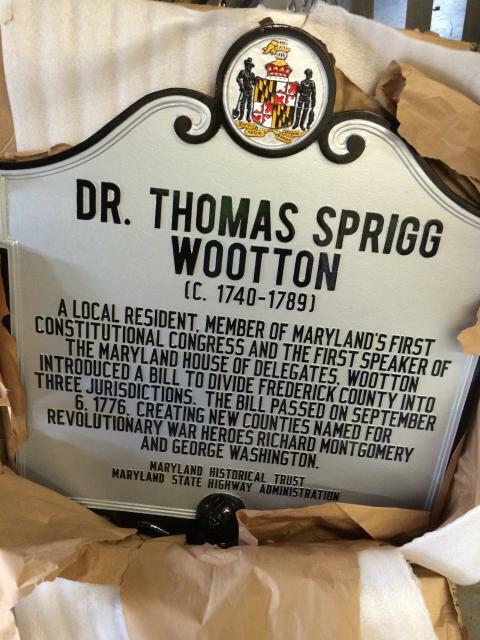 A local resident, member of Maryland's first Constitutional Convention and first speaker of the Maryland House of Delegates, Wootton introduced a bill to divide Frederick County into three jurisdictions. The bill passed on September 6, 1776, creating new counties named for revolutionary war heroes Richard Montgomery and George Washington. This marker can also be identified by its HM code. You can use the hashtag #HM1JRJ in tweets, and any other place where you might refer to this marker, including when searching on this site.